High streets are eligible to win up to £10,000 for their local community, plus the opportunity for their local businesses and consumers to participate in a Visa GBHS Spend & Win Competition. Winners will be named in each of the four UK nations – England, Scotland, Wales and, for the first time, Northern Ireland – across two categories: Champion High Street and Rising Star High Street. The Champion High Street category will recognise the nation's best high streets whilst the Rising Star High Street category, sponsored by SumUp, will recognise the nation's most ambitious high streets, which are taking the lead and working together to revive, adapt and diversify. To enter your high street you will need to be a representative of a Business Improvement District, Local Authority, Parish Council, Town Team, Coastal Community Team, Town Centre Partnership, Community Interest Company, Chambers of Commerce or a Trading Association. Entries close on 22 August 2018. The government is making available £163 million across England up to 2020 to 2021 through the Community Housing Fund. Revenue funding is available to help groups reach planning stage and capital for site infrastructure such as roads and utilities is now available. The Fund aims to support an increase in housing supply in England by increasing the number of additional homes delivered by the community-led housing sector; to provide housing that is affordable at local income levels and remains so in perpetuity; and to deliver a lasting legacy for the community-led housing sector in the form of an effective and financially self-sustaining body of expertise within the house building industry in England. A prospectus has been produced giving information and guidance for organisations interested in making bids to the Community Housing Fund. In partnership with Sport England, the Ministry of Housing, Communities and Local Government is calling for applications to the new Integrated Communities Innovation Fund. The first stage invites short expressions of interest by 20 August 2018. The Fund will help drive forward the proposals to tackle the key causes of poor integration set out in the government’s Integrated Communities Strategy green paper, by offering support to projects using innovative approaches to tackle the barriers to integration and build integrated communities. The Fund is intended to build understanding about what works to support integration in different community contexts. The Nationwide Gigabit Broadband Voucher Scheme (GBVS), announced on 15 March 2018, will provide vouchers worth up to £3000 for a small or medium sized business or £500 to residents to help with the costs of connecting to full fibre broadband. The scheme is part of a wider government plan to get more homes and businesses connected to full fibre broadband. It builds on the £200 million Local Full Fibre Networks programme which gives funding to local areas to boost full fibre delivery and on trial voucher schemes operated in four parts of the country. The Women’s Vote Centenary Grant Scheme is a £1.5 million government fund that will support local and community groups across England in celebrating the centenary of women gaining the right to vote. As part of the scheme, approximately 150 ‘Small Grants’ of between £300 to £2,000 will be available for grassroots projects to run small-scale events and activities to celebrate the centenary of women gaining the vote. The final round of this grant scheme is due to launch at the end of July 2018. The GSK IMPACT Awards provide funding and training and development for charities doing excellent work to improve people's health and wellbeing. They are funded by GSK and managed in partnership with The King's Fund. The awards are open to registered charities that are at least three years old, working in a health-related field in the UK, with a total annual income of between £80,000 and £2.5 million. The Awards reward charities that are doing excellent work to improve people’s health. Up to ten winners receive £30,000 with the overall winner receiving an extra £10,000. Up to ten runners-up receive £3,000. The deadline for applications is 20 September 2018. The Fore is an open-access funder offering development funding and strategic support up to a value of £30,000 to early-stage charities and social enterprises. They match successful applicants with professional support – ongoing mentoring, strategic advice, governance support or other assistance. The Fore is a partner of the Big Lottery Fund. The deadline for applications is 3 September 2018. The European Commission is seeking to promote free Wi-Fi connectivity in public spaces such as parks, squares, public building, libraries, health centres, and museums everywhere in Europe through WiFi4EU. The budget of the WiFi4EU scheme is EUR 120 million between 2017 and 2019. It will support the installation of “state-of-the-art Wi-Fi equipment in the centres of community life.” The WiFi4EU scheme will be disbursed in a geographically balanced manner, so that high-speed connections can benefit both residents and visitors of thousands of local communities across the EU - at least 6,000 to 8,000 local communities by 2020. 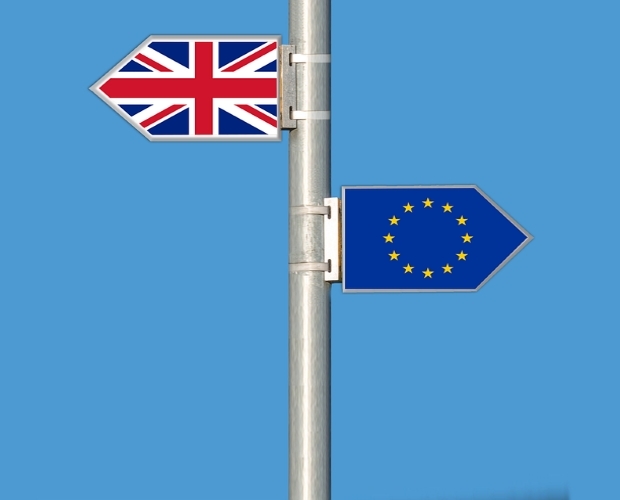 The WiFi4EU scheme will be open to public sector bodies – typically local authorities. It will fund the equipment and installation costs (internet access points), while the beneficiary will pay for the connectivity (internet subscription) and maintenance in good order of the equipment for 3 years. Local authorities will be encouraged to develop and promote their own digital services in areas such as e-government, e-health and e-tourism through a dedicated app. Projects will be selected on a first-come, first-serve basis – as soon as the first call for applications is made. To receive information about the steps of the WiFi4EU initiative as soon as they are made public, you may subscribe to a mailing list via the link below. The first call for applications (May 2018) has been cancelled. A new call for applications will be launched in the Autumn of 2018 (exact date to be announced). Family Fund Business Services are working in collaboration with BBC Children in Need to deliver the Emergency Essentials programme supporting children and young people living with severe poverty as well as additional pressures such as domestic violence, disability or poor health in the family. Clothing in exceptional or emergency situations. Applications must be completed by a registered referrer who is part of an organisation that is supporting the family or young person and capable of assessing their needs. 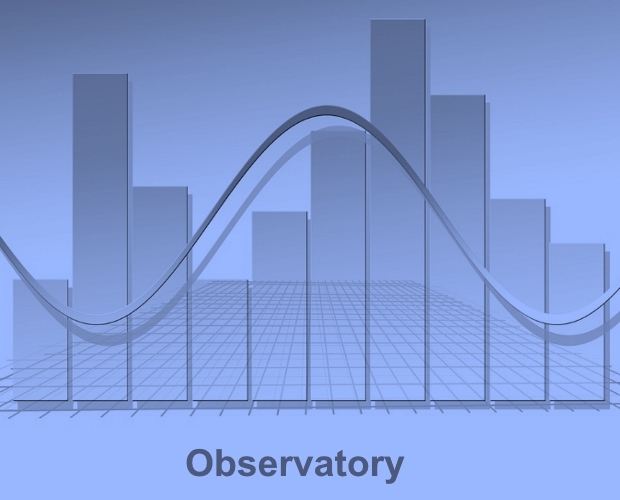 Applications for funding for projects and initiatives falling within these objectives can be made twice per year. The next deadline for applications is 26 October 2018. Almost £19 million of funding to expand support for survivors of domestic abuse services across the country was launched on 2 July 2018 by the Secretary of State for Communities. Councils working in partnership with charities and other organisations will be able to bid for a share of funding to support survivors of domestic abuse. This will be available for a wide range of services to help survivors rebuild their lives; including the provision of refuge beds, education, and employment and life skills training. The deadline for applications is 17 August 2018. Applicants for the Countryside Stewardship (CS) scheme have one extra month to complete their Mid Tier application and send it to Natural England. The deadline for applications to be with Natural England has been extended from 31 July to 31 August, allowing extra time for farmers to fill out their forms during the busy summer months. Locality will continue to deliver the Neighbourhood Planning Support Programme over the next four years, from 2018-2022. The programme builds on the 2015-18 programme and any support previously received will be taken into account. All groups undertaking a neighbourhood plan or neighbourhood development order are eligible to apply for up to £9,000 in basic grant. As well as applying for a basic grant, you can also apply for technical support (provided you meet the eligibiltiy criteria) to help you with your neighbourhood plan or neighbourhood development order. You must spend your grant funding within 12 months or by the end of the financial year, whichever is earliest. Under the new programme there are some important changes to eligibility criteria for support available to groups. In addition, the amount groups are eligible for in grants will depend on what they have received in the 2015-18 programme. This dedicated programme of support for community projects in England, Scotland and Wales is funded by Players of People’s Postcode Lottery. 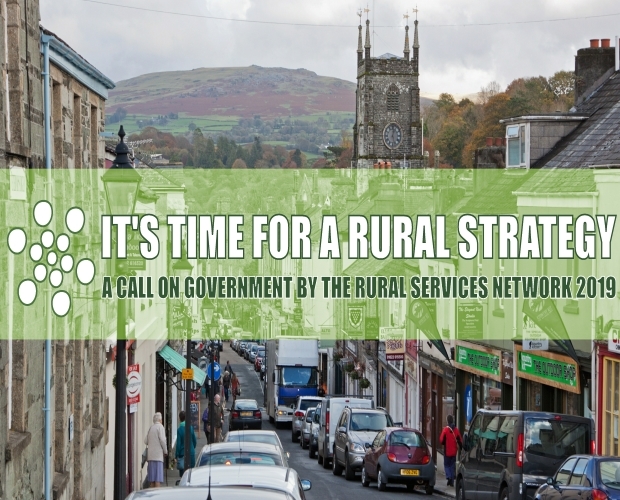 Now in its second year the project seeks to reach out and engage with up to 10 rural communities annually to help deliver and reinvigorate community assets and services. Create a lasting legacy of support and community spirit in the areas supported. The Prince’s Countryside Fund, working with partners Scottish Business in the Community, Plunkett Foundation and Pub is the Hub, utilise their networks as a catalyst for community engagement. Support and guidance is provided to communities to collaborate and learn from others to build plans for projects that reinvigorate or restore vital assets. Funding is then provided to those that meet our eligibility criteria in order to support the community to create change. Funding of up to £25,000 is available and applications are currently open. This is an open programme. Applications can be made at any time. Through partnerships funding, Big Lottery aim to make grants available over £10,000 for organisations who share responsibility and influence with others, who have a shared set of goals and values, and achieve their mission by starting with the bigger picture rather than just what their organisation can do on its own. Through Reaching Communities funding you can apply for between £10,000 and £500,000. Successful grant can fund some or all of the costs associated with delivering a project, including staff salaries, training, volunteer expenses, management costs, equipment, premises costs, monitoring and evaluation and overheads. The programme can also fund up to £100,000 for small scale capital work, such as refurbishment, the purchase of vehicles, land or buildings. Big Lottery encourage applicants to contact them before applying for additional advice and support before you submit your application. The programme re-opened for applications on 2 April 2018. This scheme is intended to reimburse people for the costs of setting up a childcare business. The scheme is only open to newly registered businesses. From 1 May 2017 a newly registered business is one that has been registered with Ofsted or a CMA within the last 3 months. Introducing a locality supplement of £200 to the universal award, providing a total grant of £500. This will be paid to new childminders within certain local authorities (LA) where there are low numbers of childminders, and the LA has been highlighted as facing challenges around rurality and disadvantage. Please note that from 1st May 2017, if you have been registered with Ofsted for longer than 3 months you are not eligible for a grant. This rule will be strictly upheld. The Childcare Business Grants Scheme is funded by the Department for Education. There is a fixed amount of funding available and is demand-led and operates on a first come / first served basis. A Fund of £1.5 million has been made available offering grants to projects which help people to return to work in the private sector. These projects could help returners update their skills, provide other training, or support businesses to increase employment opportunities for returners. increase understanding of how best to support a) returners to gain paid employment and b) employers to recruit and support returners. It is anticipated that most of the grant recipients under the Returners Fund will be voluntary and community sector organisations, social enterprises and training providers. Approximately 15-18 projects will be selected in total. Expressions of interest must be submitted by 16 August 2018. Two funds are available to local communities to help with the disruption that will be caused by the construction of Phase one of HS2 between London and the West Midlands; the Community and Environment Fund and the Business and Local Economy Fund. The objective of these funds is to add benefit, over and above committed mitigation and statutory compensation, to communities and local economies along the route. The administration of these funds is managed on behalf of HS2 Ltd by the charity Groundwork who will ensure both funds remain available for applications throughout the construction of Phase One. The Morris Fund was formed in 1939 following a bequest to the Society of Antiquaries from May Morris, the younger daughter of William and Jane Morris. May Morris required that grants should be made only to work that is carried out according to the principles of the Society for the Protection of Ancient Buildings (SPAB), which was founded by her father. Grants are awarded to churches, chapels and other places of worship in the United Kingdom for the conservation of decorative features and monuments, but not structural repairs. This includes stained glass windows, sculpture, furniture, internal monuments and tombs and wall paintings. The decorative feature, monument, etc must be dated before 1896 (the date of William Morris’s death). Applications for features dated after 1896, even if they are in churches dated before 1896, are not eligible. The deadline for applications is 31 August 2018. The Community Shares Booster Programme is a funding scheme to support community share offers. It will invest equity up to £100,000 to match community shares in societies that can demonstrate higher than average levels of community impact, innovation and engagement. The programme will also provide development grants of up to £10,000 to help societies get investment ready and meet standards of good practice. Match funding will be in the form of equity held on equal terms with other community shareholders. Power to Change has provided £3m funding for the Booster Programme over a five-year period from 2017-22. The programme is expected to match fund around 60 share offers in the first three years of the programme (to 2020) and then provide active investor support to societies on a continuing basis. The programme is run by the Community Shares Unit, a joint initiative between Co-operatives UK and Locality. The Community Shares Unit was established in 2012, since when there have been over 350 community share offers in the UK, raising more than £120m in share capital from over 100,000 people. Community shares are defined as non-transferable, withdrawable shares in an asset locked society that has at least 20 member-shareholders and £10,000 in share capital. The LTA are operating two funds, with the preference being to invest in projects that bring together multiple partners to deliver the right mix of tennis facilities for their local community. The first fund is named after the programme - the Transforming British Tennis Together Fund. They are allocating £100m and will provide significant support to applicants throughout the lifecycle of their project. With this fund they want to see multiple organisations coming together to create hundreds of thriving ‘Community Tennis Networks’. The second fund - the Growing the Game Fund – is designed to support smaller venues who, primarily for geographical reasons, cannot be part of a broader Community Tennis Network. They are allocating £25m and we will provide a more streamlined service to applicants. Up to 50% funding is available to projects and the initiative is due to run for 10 years with 2 funding rounds each year. The next deadline is 28 September 2018. 'Archives Revealed' is a partnership programme between The National Archives and The Pilgrim Trust. It is described as the only funding stream available in the UK dedicated to cataloguing and unlocking archives. The fund is comprised of two funding strands, the first of which, ‘Cataloguing grants’ of up to £40,000 for archives to create catalogues of important archival collections, is now closed and will re-open in October 2018. Scoping Grants up to £3,000 will be available under the second strand to help archives conduct collection analysis to support development of plans for future cataloguing priorities and projects. The scoping grant fund is a rolling programme with decisions made on a quarterly basis: panel meetings will be held July and October 2018, January and April 2019. Transform Foundation provide funding of up to £18,000 to cover the strategy, design, build, content strategy, training, QA and launch of a new mobile optimised website, with sophisticated marketing, fundraising, appeals, social media, e-commerce and website management tools. Applications are accepted on a rolling basis. They are specifically targeting small and midsize charities – generally with an income between £350k and £30M a year. The BBC Children in Need Main Grants programme is open to charities and not-for-profit organisations applying for grants over £10,000 per year for up to three years. If you are looking for any amount up to £10,000 for one year, see Small Grants. Projects funded aim to make differences in children’s lives that help prevent or overcome the effects of the disadvantages they face. Projects achieve these differences by either working directly with children or seeking to improve their social and physical environments. The next deadline for applications is 13 September 2018. Maintenance grant programme. This is a pilot programme, in partnership with the Pilgrim Trust, offering awards of between £500 and £3,000 to encourage churches to act on small, urgent maintenance issues and repairs to listed church buildings, as identified in a recent Quinquennial Inspection Report, condition survey or report by a gutter management contractor, and costed between £1,000 and £10,000. Proposed works must be to the main church building, and applicants must be able to show they have already raised 50% of the total repair costs, and to have obtained two quotes for the works. The closing date for applications is 26 September 2018. Project Development grant programme. This is a pilot grant programme offering awards up to £10,000 to support churches to develop high quality, well researched, sustainable projects through the diagnosis of issues affecting the church, by testing the viability of proposed solutions, and through developing plans up to RIBA stage 1, in advance of applying to a major church heritage funder such as the Heritage Lottery Fund. The closing date for applications is 29 August 2018. Project Viability Grants – grants up to £7,500 are available to fund studies to look at potential uses for a building and at its current condition, and produce a Viability Report to a standard template. Project Development Grants – grants up to £30,000 are available to assist an organisation to cover some of the costs of developing and co-ordinating a project and taking it towards the start of work on site. The deadline for applications for both Project Viability Grants and Project Development Grants of up to £7,500 is the last day of each calendar month. Project Development Grant applications for more than £7,500 go to Trustee Grants Panel meetings for decision. The deadline for the next meeting is 28 August 2018. The Architectural Heritage Fund is now able to offer bespoke mortgage-style loan facilities. The Heritage Mortgage programme allows borrowers to plan ahead across a number of years and at an earlier stage than is usual, potentially reducing the annual costs by stretching the payments over a longer period. The Heritage Mortgage is available either pre- or post-completion of a capital project. Investments of between £150,000 and £500,000 are available, typically over 10 to 20 years. Family Fund – The Family Fund Trust for families with severely disabled children. The Family Fund helps families across the UK who are raising a disabled or seriously ill child or young person aged 17 or under. You can apply to Family Fund subject to a number of criteria which include that you are the parent or carer of a disabled or seriously ill child or young person aged 17 or under and that you have evidence of entitlement to one of the following: Universal Credit, Child Tax Credit, Working Tax Credit, Income-based Jobseeker's Allowance, Income Support, Incapacity Benefit, Employment Support Allowance, Housing Benefit and Pension Credit. Projects can be supported that make physical improvements at sites located in any of 100 funding zones around qualifying sites owned by SUEZ Recycling and Recovery UK. A ‘Smaller Projects Fund’ is available for grants up to £20,000 and a ‘Primary Fund’ for projects up to £50,000. The Electric Vehicle Homecharge Scheme (EVHS) provides grant funding of up to 75% towards the cost of installing electric vehicle chargepoints at domestic properties across the UK. The Workplace Charging Scheme (WCS) is a voucher-based scheme that provides support towards the up-front costs of the purchase and installation of electric vehicle charge-points, for eligible businesses, charities and public sector organisations. The On-street Residential Chargepoint Scheme (ORCS) provides grant funding for local authorities towards the cost of installing on-street residential chargepoints for plug-in electric vehicles. For more information visit the website below. A variety of funds under the European Structural and Investment Fund (ESIF) are currently available in different parts of the country. 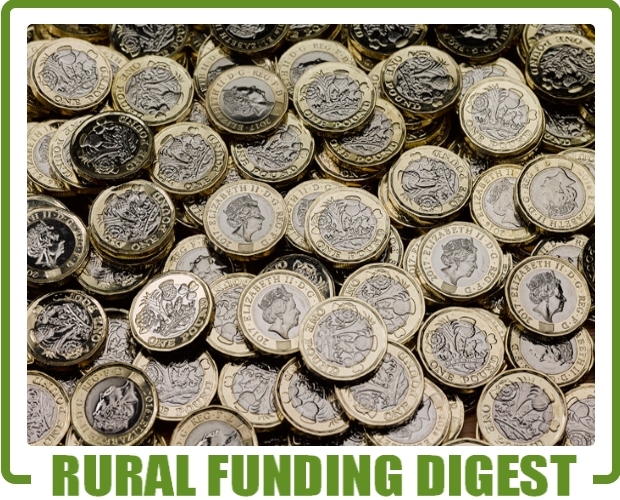 ESIF includes money from the European Social Fund (ESF), European Regional Development Fund (ERDF) and European Agricultural Fund for Rural Development (EAFRD). Deadlines for applications vary. Please see the website below for more information. £2 million of grants have been made available from BT Community Fibre Partnerships delivered by Openreach. Grants are for communities in the so called ‘final 5%’ of the UK not covered by fibre broadband rollout plans. Grants of up to £30,000 toward the cost of new fibre infrastructure are available, so long as that new infrastructure serves the local Ofsted registered (or equivalent) school or learning establishment. 50% of the required funds could be available from the scheme with the community raising the additional 50%. BT has teamed up with the Crowdfunding website "Spacehive" to assist with community fundraising. Applications can be made at any time until the £2 million has been allocated. The money raised from the 5p bag charge in Tesco stores in England, Wales and Scotland is being used to support community participation in the development and use of open spaces. Projects that will get the green light as a result of the funding will include volunteer training, physical improvements of open spaces, equipment purchases, community events and sports and leisure activities. 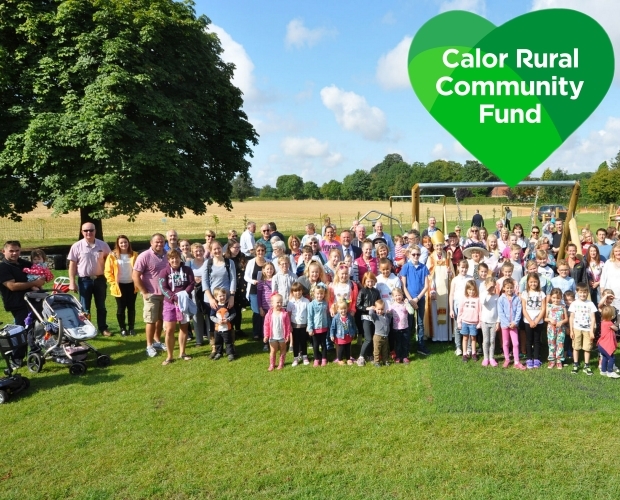 Administration of the local funding is being managed by the community charity Groundwork. Bags of Help is always open to applications from community projects. Groundwork assesses all of the applications received to ensure they are eligible. This is followed up by Tesco shortlisting groups who decide which projects go forward to the in-store vote. Three local community projects will be voted on in Tesco stores each month across Tesco regions throughout England, Scotland and Wales. In each region, the project that received the most votes from all stores in their region will receive a grant of up to £5,000. The second placed project receives up to £2,000 and third placed up to £1,000. Every year, over 7000 projects will receive funding through this scheme. The government has created a £3 billion fund “to increase the number of homes built in England.” You can apply if you’re a private sector business that builds new homes or prepares sites for housing developments. This includes small builders, community builders, custom builders and regeneration specialists, as well as larger builders and developers. The fund provides development finance and infrastructure finance via loans. More information on how the fund works and who can apply is available in ‘An Introduction to the Home Building Fund’ which you can access via the link below. The Premier League Fans Fund is a three-year commitment from the Premier League to fund projects and organisations which improve the relationship between fans and their clubs, the way football supporters engage with each other and fans’ experience of the game. Improve fans’ experience of the game. Grants of between £1000 and £100,000 are available for eligible individuals, organisations, libraries and museums for a range of activities including: Audio-visual, broadcast and transmission, buildings and infrastructure, capacity building, commissioning, digital creation, diversity and equality, education and learning, exhibition, festival, organisational development, original work, participation, performance, production, professional development, publishing, research and development, sector development, talent development and touring. This is a rolling programme with no deadlines. The Community Pub Business Support Programme is a unique three year programme established to help support community ownership of pubs in England. Its value is £3.62 million and is jointly funded by the Department for Communities and Local Government and Power to Change. Plunkett Foundation is leading this exciting programme and delivering it in collaboration with Co-operative & Community Finance, Keyfund, the Campaign for Real Ale (CAMRA), Co-operative Mutual Solutions, Pub is the Hub and Locality. For the first time it offers the community pub sector access to an end-to-end support programme including capacity building and a finance package made up of loans and grants. An extensive support programme is available until March 2019 which includes business development advice and a combined finance package of up to £100,000 made up of loans and grants. The aim of The Discovery Project is to help disadvantaged people have the confidence to make the most of their future. The Santander Foundation provides grants to support knowledge, skills and innovation to give disadvantaged people the confidence to discover and create a new world of opportunities. Discovery Grants of up to £5,000 are available to UK Registered Charities, Community Interest Companies and Credit Unions to fund small, local projects helping disadvantaged people. War Memorials Trust administers a number of grants schemes which between them cover the whole of the UK. Currently programme funders include the Department of Culture, Media and Sport, Historic England, Historic Scotland and War Memorials Trust. Grants are currently available up to 75% of eligible costs with a normal maximum grant of £30,000. War Memorials Trust seeks to help all war memorial custodians, whatever the nature and size of their war memorial by facilitating repair and conservation projects. Annual deadlines are 31 March, 30 June, 30 September and 31 December. Stage 1 provides a grant of up to approximately £20,000 to pay for an initial investigation into the feasibility of a renewable energy project. Stage 2 provides an unsecured loan of up to approximately £130,000 to support planning applications and develop a robust business case to attract further investment. Improve facilities for football and other sport in local communities. Sustain or increase participation amongst children and adults, regardless of background age, or ability. Help children and adults to develop their physical, mental, social and moral capacities through regular participation in sport. Grants are available for between £10,000 and £500,000.